The B-45 Tornado was the first American four-engine jet bomber to fly, and the first American production jet bomber, built by North American Aviation. 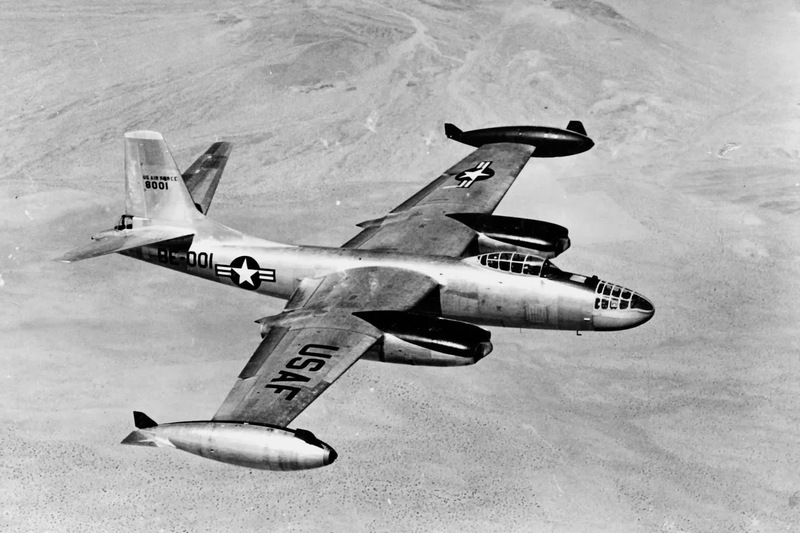 It was also the first jet bomber capable of carrying an atomic bomb, and the first multi-jet reconnaissance aircraft to refuel in mid-air. 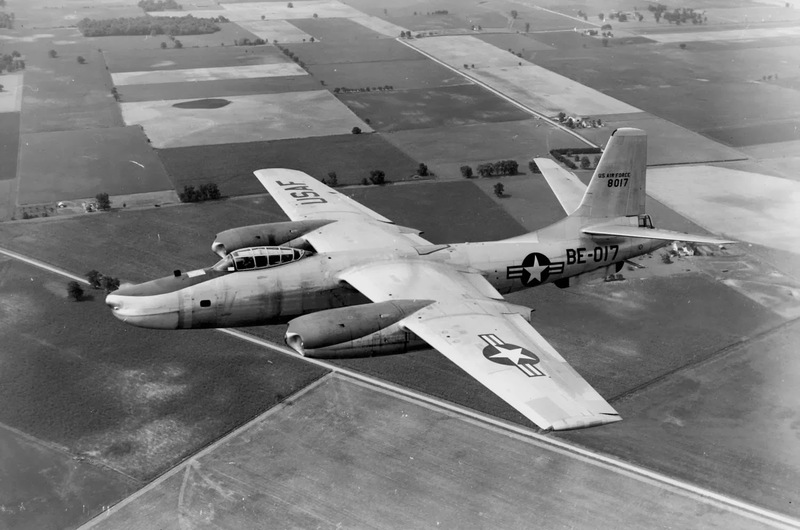 Design of the Tornado began during World War II, and the B-45 made its first flight in March 1947. 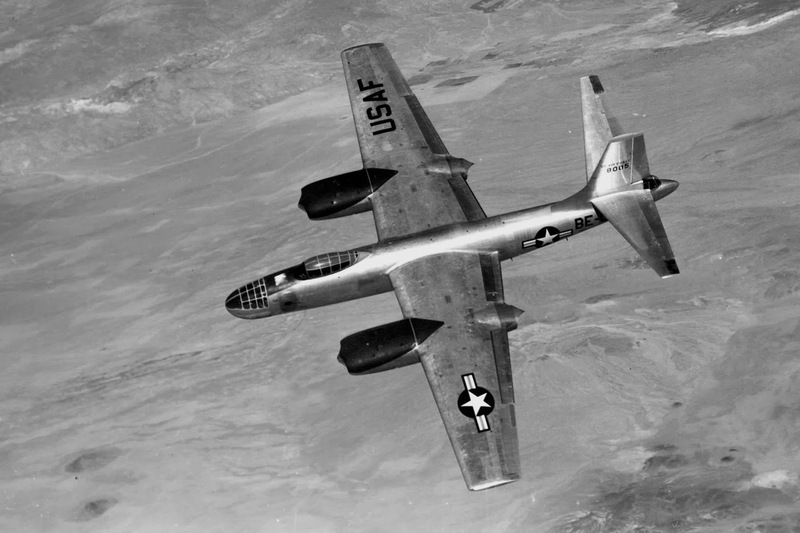 The B-45 was an important part of the United States' nuclear deterrent for several years in the early 1950s, but was replaced by the Boeing B-47 Stratojet when it came into the USAF fleet. 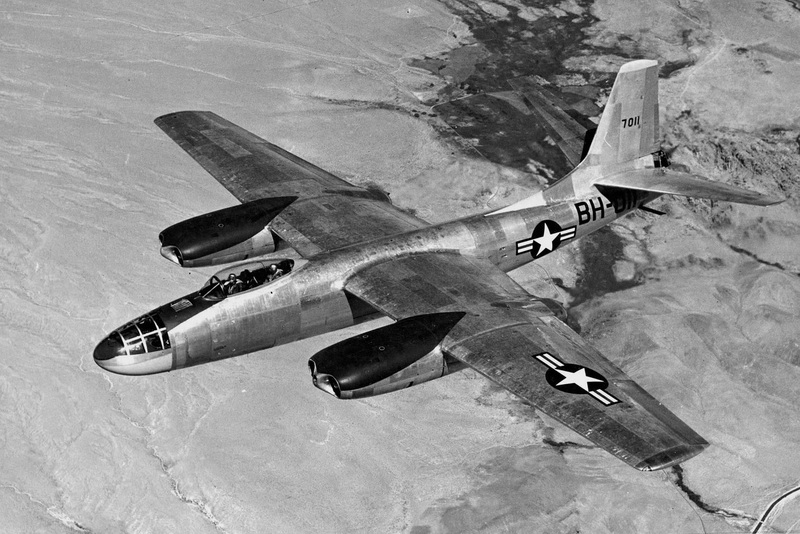 The B-45 served in the Korean War in which it provided its value as a bomber and as a reconnaissance aircraft. B-45s and RB-45s served in the United States Air Force's Strategic Air Command from 1950 until 1959. North American built 142 B-45s, including 10 long-range B-45Cs with wingtip fuel tanks and 33 RB-45Cs (see photo below) configured for high-altitude photo reconnaissance and aerial refueling.